As we know, a SFP module just looks the same as the SFP+ module. And most switches can both support SFP module and SFP+ module. So, do these two modules really refer to the same one? What’s the difference between them? SFP stands for Small Form-factor Pluggable. It is a hot-pluggable transceiver that plugs into the SFP port of a network switch and supports SONET, Gigabit Ethernet, Fibre Channel, and other communications standards. SFP specifications are based on IEEE802.3 and SFF-8472. They are capable of supporting speeds up to 4.25 Gbps. Due to its smaller size, SFP replaces the formerly common gigabit interface converter (GBIC). Therefore SFP is also called Mini-GBIC. 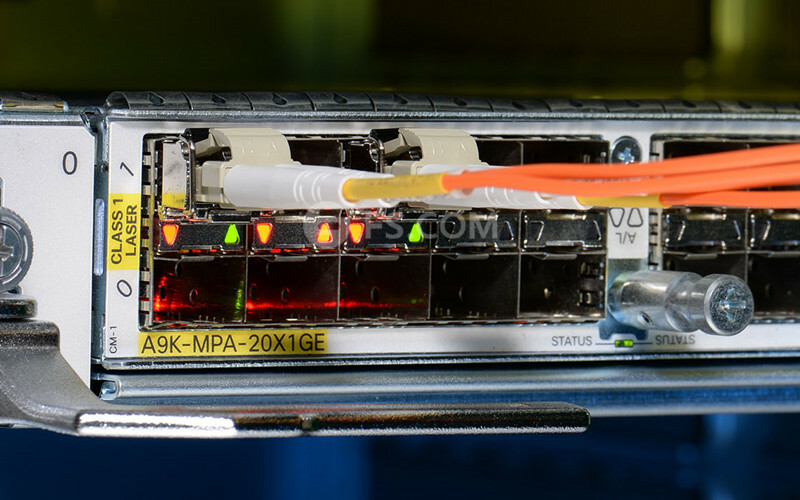 By choosing different SFP module, the same electrical port on the switch can connect to different fiber types (multimode or single-mode) and different wavelengths. Since SFP supports only up to 4.25 Gbps, SFP+ that supports data rates up to 16 Gbps was later introduced. In fact, SFP+ is an enhanced version of the SFP. The SFP+ specifications are based on SFF-8431. In today’s most applications, SFP+ module usually supports 8 Gbit/s Fibre Channel, 10 Gigabit Ethernet and Optical Transport Network standard OTU2. In comparison to earlier 10 Gigabit Ethernet XENPAK or XFP modules, SFP+ module is smaller and becomes the most popular 10 Gigabit Ethernet module in the market. Review the SFP and SFP+ definition mentioned above, we can know that the main difference between SFP and SFP+ is the data rate. And due to different data rate, the applications and transmission distance is also different. Usually, SFP module plugs into SFP port of the switch and SFP+ module plugs into SFP+ port of the switch. But, sometimes SFP module can also be plugged into SFP+ port. 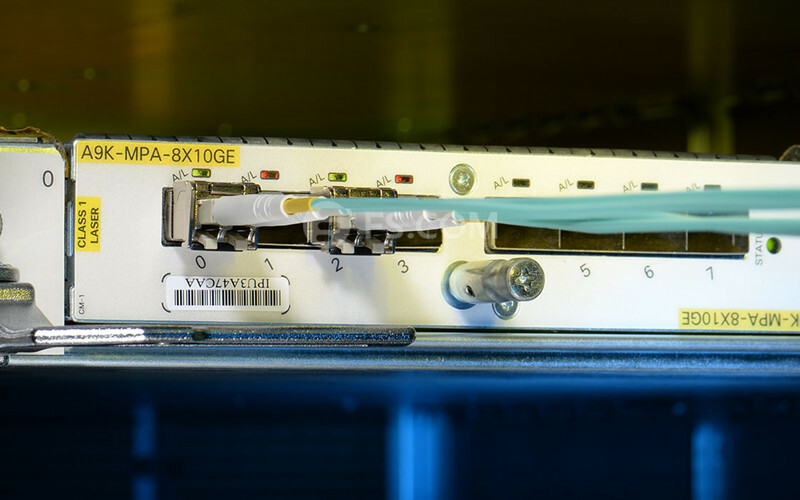 Which SFP or SFP+ module should you choose all depends on your switch types. 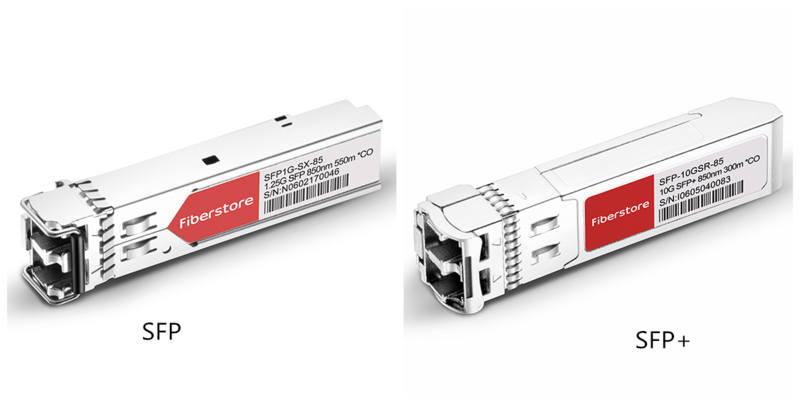 Fiberstore is a reliable SFP transceiver module manufactures, all SFP module and SFP+ module types are available in FS.COM. Besides, SFP+ cable is also provided. What’s more, the price of SFP module and SFP+ module is lower than many other manufactures. SFP test is strict in FS.COM. Matching fiber patch cable is also available. This entry was posted in Fiber Optic Transceivers, SFP Transceiver, SFP+ Transceiver and tagged SFP definition, SFP module types, SFP port, SFP vs SFP+, SFP+ cable, SFP+ module in SFP port on September 6, 2016 by Cheer Chen.